Bob was born in Hammond, IN, following his graduation from Ball State University, he spent five years flying in the Air Force, 17 in the Air Guard, and 33 with Delta. He’s been living in Park City, both part and full time for the past 33 years. 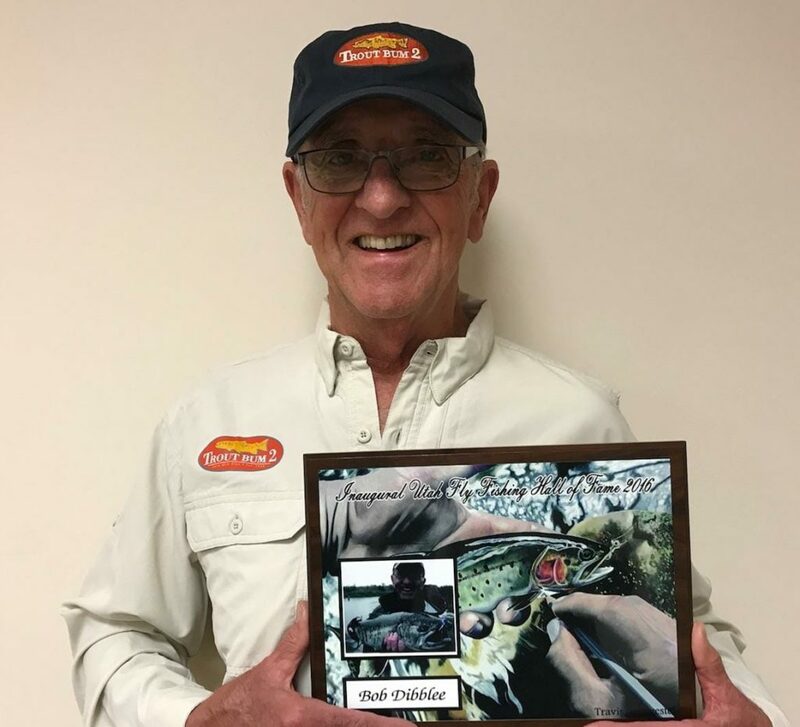 Like many people, he started his fishing at a pretty young age using an old open face casting reel and even won a few casting events. In the military he converted to spin casting. About 30 years ago his son got him hooked on fly fishing. Following his career at Delta he became actively in the High Country Fly Fishers (HCFF) TU Chapter and served two terms as its President. During his time, as Chapter President, he spent many hours working closely with the Utah Trout Unlimited VP of conservation to conserve and protect our watersheds and led the effort to getting HCFF actively involved in many conservation projects. Following his leadership at High Country he served five terms as Utah Trout Unlimited Council Chair. During his time as Chair of the Utah Council he spent many hours working closely with the Council VP of Conservation.to conserve and protect our watersheds. They worked many of the different divisions such as the DWQ, CUP, Utah Rivers, and Provo Watershed Council. They were also heavily involved in negotiating two agreements with Berry Oil, the Strawberry Diamond Fork and Lake Cannon agreement. He was responsible for setting up the Park City TU Western Regional meeting attended by over 50 TU officers from all the Western States. He reinvigorated the Utah Anglers Coalition, becoming its Chair. The reinvigorated UAC, went from 7 people attending meeting to 30+ with including all officers of other fishing organizations, trout shop representatives, DWR personnel. He is an active member of Friends of Strawberry. He was appointed for two terms on the Governors Blue Ribbon Fisheries Advisory Council and received the Bob Trowbridge Conservation Award. Several years ago his efforts to establish a Trout in the Classroom program in Utah resulted in successfully receiving Division of Wildlife Resources approval to proceed with the program. With having the DWR as a partner, local chapters of Trout Unlimited supplies teachers with aquariums, filters, chillers, and tools. In January the school children are provided with 200 fertilized trout eggs. The kids watch the eggs hatch and grow into fingerlings. In May they turn them loose in local waters (approved by the DWR). This program provides the kids with valuable lessons in environmental education and connects them with their watersheds. Starting three years ago with three schools participating, there are now twenty-six. Bob is the designated Utah Council coordinator for the program. In addition to the above he has been heavily involved in Stream Access efforts, women’s fly fishing clinics, Project Healing Waters Veteran’s programs, Mill Creek Restoration Planning Committee, the annual Utah Trout Unlimited One Fly Tournament, Wasatch Fly Tying Expo, and participating in the annual Trout Unlimited Regional and National Annual meetings. Also, Bob was an instrumental member on the team that helped set up the Annual TU National meeting at Snowbird a few years back. Working with State Parks and Recreation to build a boat launch on the Jordanelle for for kickboats and othe similar craft without gasoline engines. Most recently, he obtained funding from the Blue Ribbon Council to install boot cleaning stations on the Middle Provo. Bob’s efforts have gone far in cementing a good working relationship with the Division of Wildlife Resources.